Newport Brass has introduced three new kitchen suites. 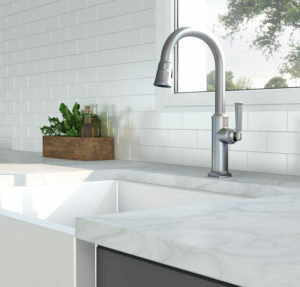 The Heaney pull-down faucet has a minimal yet multidimensional feel with squared, faceted details on both the base and at the end of its curved spout. Meanwhile, the Zemora pull-down faucet has a solid, squared base that transforms to meet a slightly flared spout. 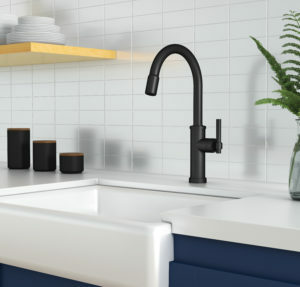 Finally, the more transitional Seager pull-down faucet is all curves. 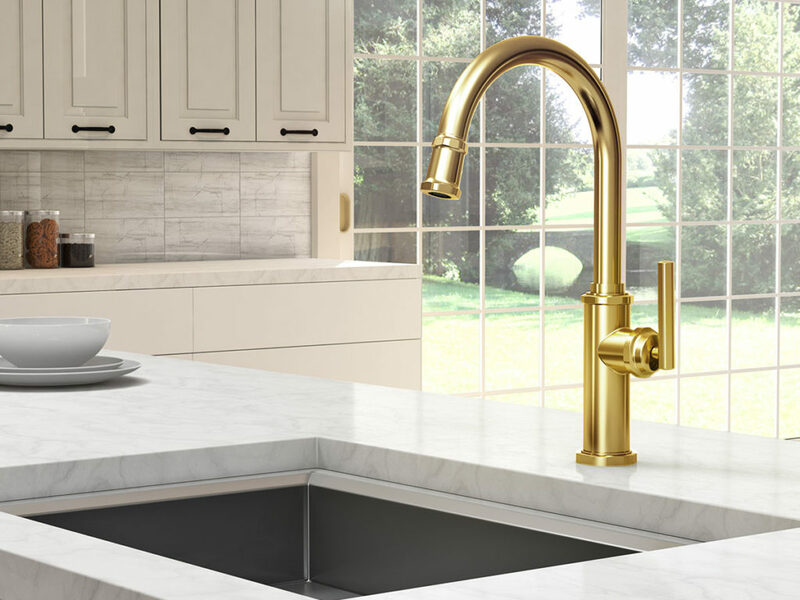 Each new fixture includes Newport Brass’ signature magnetic docking system that secures the pull-out spray head to the spout when not in use and also features a two-function toggle control spray engine with a pivot ball fitting that enhances directional control within the sink.